Kitchen appliance manufacturer BlueStar has introduced a new Double Electric Wall Oven with French door configuration, bringing true professional performance to electric cooking, the company says. The essence of the new oven is that home cooks can design a complete electric kitchen with authentic, commercial-style accruements, the company says. 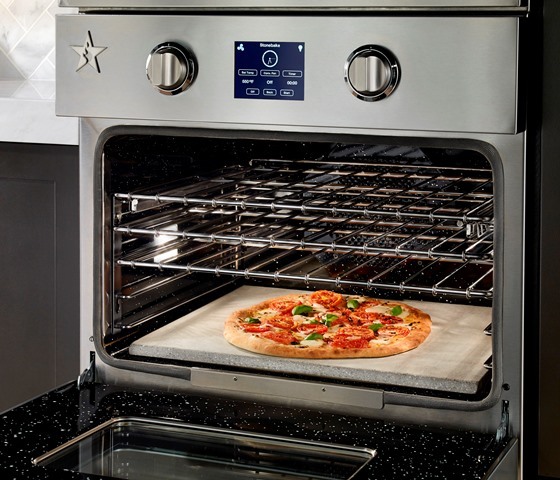 BlueStar says the Double Electric Wall Oven offers unmatched performance and capacity for the home chef, including a 2,500-watt bake element and a 5,000-watt infrared broiler. A 1800-watt heat assist element in the back of the cavity means faster preheating and less time waiting. In addition, the unit offers 12 cooking modes including bake, convection bake, roast, convection roast, croil, StoneBake, proof, and Sabbath. The oven features true European convection technology and a precision temperature probe that offers the ideal way to obtain the perfect temperature for any meat, the company says. An extra-large cooking cavity can accommodate a full-size 18-inch-by-26-inch commercial-size baking sheet. A professional-quality, integrated artesian baking stone can be used to create perfectly crisp breads and pizza. It mimics the conditions in brick ovens by absorbing heat from the oven to bake bread—and practically anything else—directly on top of the heat source. The built-in temperature probe on the baking stone helps insure perfect results every time. 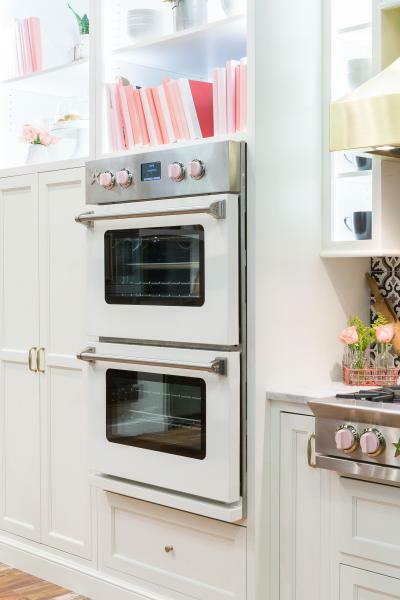 “This top-of-the-line wall oven supplies home cooks with ‘more-is-more’ convenience: interiors are large; temperatures are more precisely controlled; and 12 cooking modes provide everything from pizza-baking to convection bake functions,” says Sheffield. The oven is available in single or double drop down doors or chef-preferred French doors: pull the left door open and the right one swings open automatically, adding functionality and style. A new feature, an intuitive, single controller, makes it easy to operate both the top and bottom oven. Customers may order the wall oven in more than 750 colors and finishes.